Kule Refugee Camp, Gambella, September 11, 2014- While the Americans were commemorating the 13th anniversary of 9/11 attack on the world trade centre, the Ethiopians celebrated their 2007 new year day, we were with the South Sudanese Refugees in Kule settlement camp turning swamp water into safe drinking (potable) water. Kule Refugee camp, opened in May 2015 and it is home to over 50,000 refugees who fled from South Sudan due to conflict. 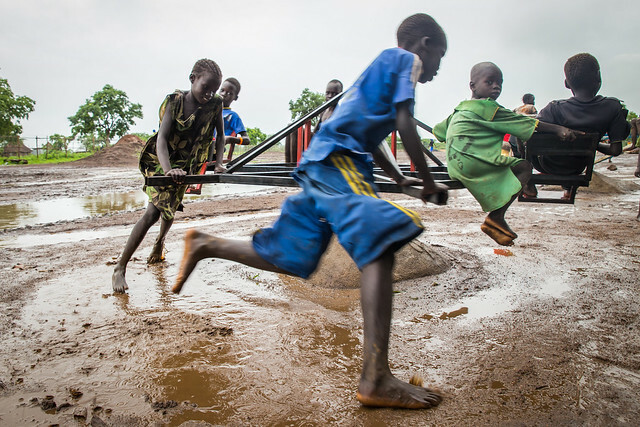 The recent rains in Gambella coupled with run-off from the high lands channelled through Baro River, have already caused widespread flooding in Lietchuor Refugee Camp and Itang Town. The same rains have rendered most roads in Kule and Tierkidi Refugee camps making them inaccessible by large trucks. This means, nearly half of the population in Kule cannot be served with potable water through water trucking.As a result, women and children had to walk between two to four Kilometres to the nearest water point within the camp, while others resorted to drinking surface water. In Response to this, The UN Refugees Agency (UNHCR), have ordered an immediate repair of all roads starting with the overburdened spots. While the roads are being fixed by Norwegian Refugee Council, Oxfam with support from UNICEF, today installed an emergency water treatment kit (EmWat) to minimise the health risks of using surface water and to reduce the burden of women, boys and girls hauling water over long distances. 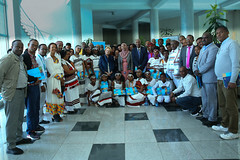 The EmWat kit is donated by UNICEF, installed by Oxfam with technical support from UNICEF and UNHCR. As a stop-gap measure it will provide safe drinking water to some 12,000 refugees residing in the hard to reach portion of the. Until a time when the in-camp roads are accessible by water trucks. The kit works on the principles of aided sedimentation, filtration and disinfection before distribution through a tap stand connected to a raised storage tank. The long term solution to this problem however, is the construction of a piped water scheme. 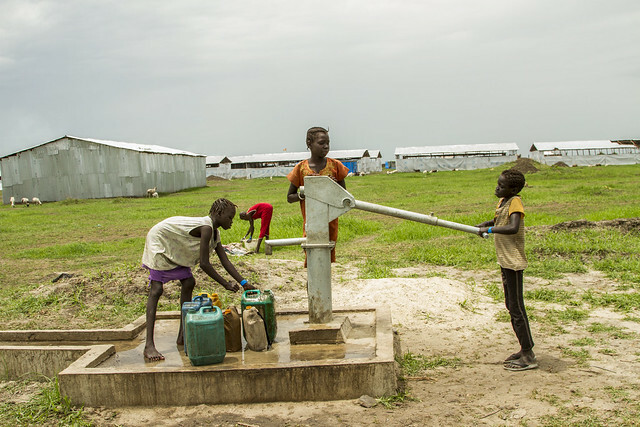 With an estimated US$2.5Millions, UNICEF is supporting this sustainable solution through designing the system; construction of water reservoir tanks and technical support to partners implementing the other portion of the system. Once completed, between April and May 2015, it will serve some 120,000 persons including the surrounding host communities of the two camps (Kule and Tierkidi). 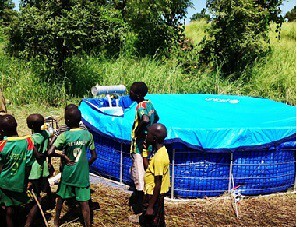 In the WASH sector, UNICEF is supporting the Gambella operation in emergency areas such as this by pre-positioning essential supplies and equipment; support to sector coordination; mitigating the effects of the displacement on the host communities; looking beyond the emergency and providing ad-hoc technical support to partners. One refugee woman had this to say after fetching water from the installed kit, “Yesterday was my first day to drink water from this swamp after I felt tired of walking to Zone C, why didn’t you people bring this thing (meaning Emwat Kit) yesterday?” This was how we spent our Ethiopian New Year, thanks to Oxfam who is now running the kit. GAMBELA, ETHIOPIA, 27 JUNE 2014 – The swollen Baro river marks the border between Ethiopia and it western neighbour, South Sudan. 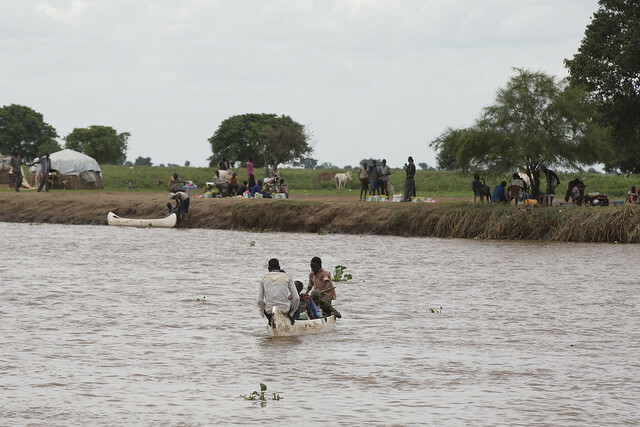 It’s fast-flowing waters are all that stand between those fleeing the brutal civil war in their home country and safety in Gambella. 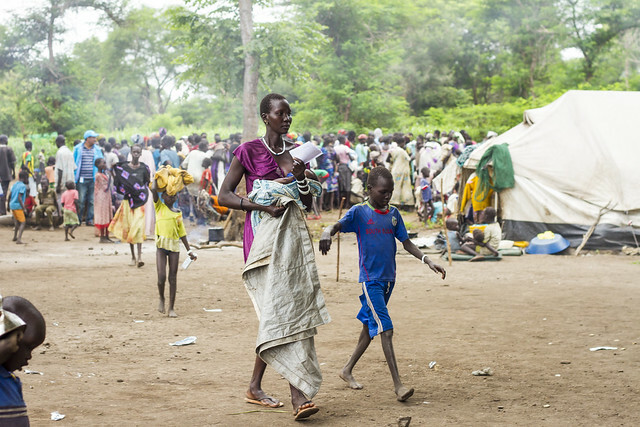 Dotted along the banks on the South Sudanese side are men, women and children, clutching their meagre possessions, waiting to be transported across the muddy-brown waterway in white plastic canoes. With battered suitcases and woven baskets on their head, those refugees – dusty, exhausted and in need of food and water – who have successfully made the river-crossing trudge towards Burebiey and the UNHCR registration tent, half a kilometre away. 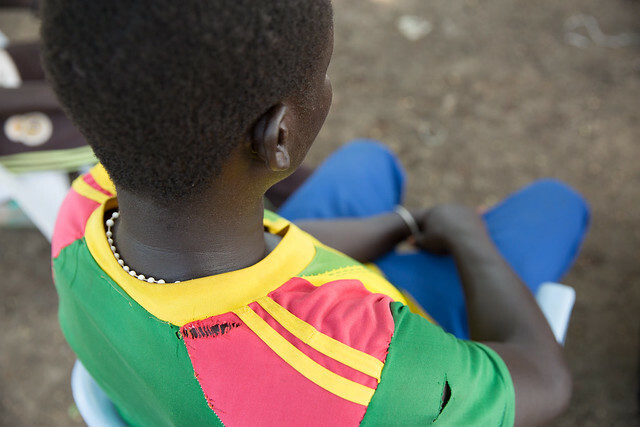 Deng Gatek spent three days waiting to cross the Baro as he tried to scrape together the 30 birr (USD$1.5) fee he needed to secure passage for himself, his wife and his four children. 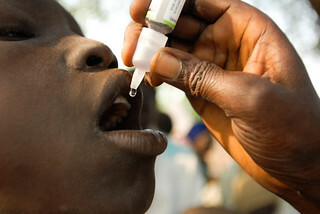 He silently fills his yellow plastic jerry can with crystal clear water from UNICEF’s EM-Wat (emergency water) facility. “We walked through the bush with hyenas and snakes. Many bad things happened,” Mr Gatek recalls, weariness and relief etched on his face. He can’t remember how many days the journey took from his home in Walang, in Jonglei State, to the border. “It was difficult to find water on the way. When we arrived at the border we were able to drink the river water. The water from the tap is much better than the river water – there is no dirt in it. I can take clean water to my wife and children now. They are at the registration centre,” he adds, pointing to a clutch of tents in the distance. If needed, Mr Both and his team can provide up to 36,000 litres of clear water a day. “The refugees come all day to the taps. If I don’t treat the water they can’t drink it. I’m very happy because I’m helping my people,” he says. 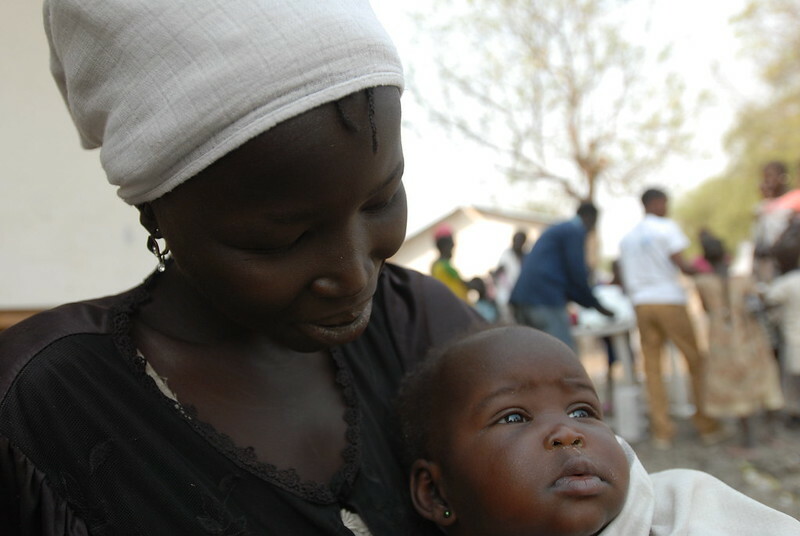 More than 147,000 South Sudanese asylum seekers have arrived in Gambella since fighting erupted in Juba in December last year. 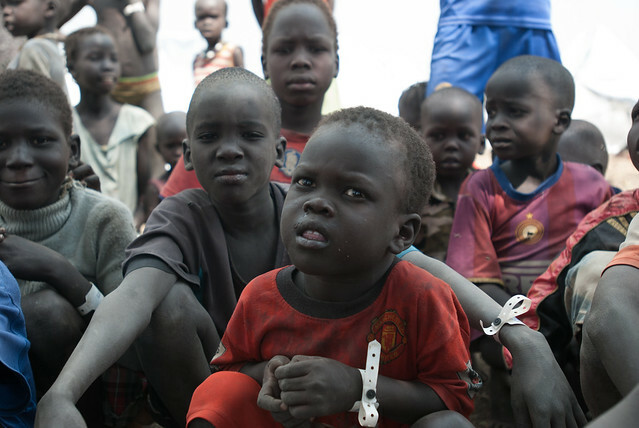 This has placed a tremendous burden on local authorities which were already stretched – Gambella is one of the poorest regions in one of the most food insecure countries in the world, and was host to around 76,000 refugees from South Sudan before the current influx began. This year UNICEF has installed 9 pumps in Nyien Nyang. 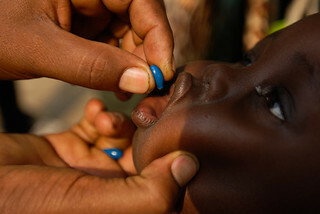 There are 35 in total, serving a population of around 18,000, nearly half of which were constructed by UNICEF, including two at the local the hospital. “The focus of all the NGOs and UN agencies has been on the refugees. 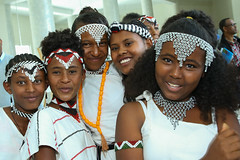 At UNICEF, our focus is always on both the host community and the asylum seekers,” says Basazin Minda, WASH officer. 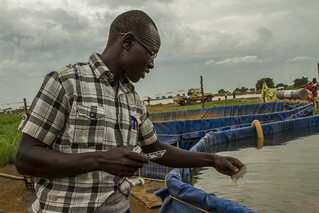 “We identified the burden on the local services at an early stage and decided to increase the number of shallow wells in the area in order to create a balance between the host community and refugees.” He believes that the creation of the additional shallow wells and pumps has prevented potential conflicts over this precious resource between the indigenous community and the refugees they have provided sanctuary too. Mr Puoch has seen many benefits from the construction of water pumps in the heart of the community. 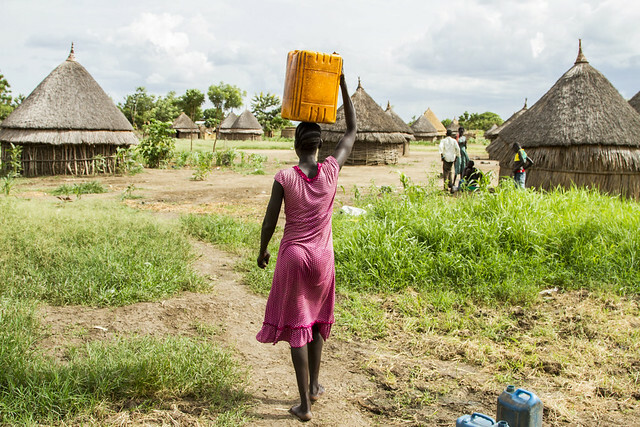 “Having the pumps close to their homes means that the women will save time collecting water. Previously, when they had to go to a faraway pump they would not use the water for hygiene. 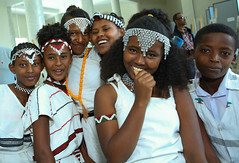 But because they can access water in the local area at any time, sanitation has improved,” he insists. “When the pumps were some distance away they would break often. Now they are close to the homes the community takes better care of them.